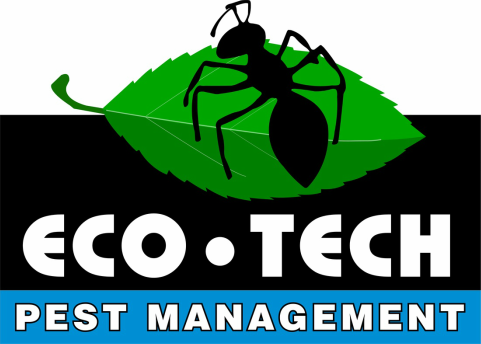 Eco-Tech handles more carpenter ant work than any other species of insect. They account for around 50% of our business. In other words, we get a lot of practice with them. Above all else, we pride ourselves on the ability to eliminate difficult and persistent carpenter ant colonies. We begin by inspecting your home to identify where they are gaining access to your home. We also inspect the property to see if there are additional satellite nests living in nearby trees, wood piles, or decking. These satellite nests are usually a part of the same colony and must be eliminated in order to gain true control over the situation. We use the very best carpenter ant specific products available and apply them with the safety of your family and pets in mind. As with all of our services, our carpenter ant treatments are backed with a written guarantee. For more information give us a call for a free, zero-pressure phone consultation. 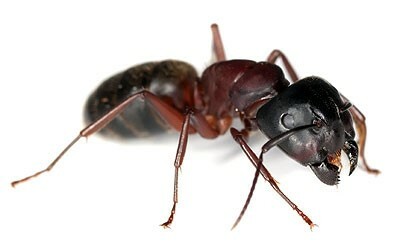 Description: Carpenter ants are most commonly black in color. Some species can have yellowish or reddish hues. Workers are typically between ¼ and ½ inch long. Winged reproductive forms can be up to ¾ inch long. Diet: Contrary to popular belief, carpenter ants do not eat wood. The damage they cause to wood is done while carving galleries and tunnels in which to nest. Carpenter ants feed on other insects, honeydew, fruit juices, eggs, meats, and sweets. Foragers will travel up to 100 yards away from the nest in search of food. Colony Size: Carpenter ant nests typically contain over 3,000 individuals. That number increases to up to 15,000 individuals when you include the satellite nests. Damage: Carpenter ants prefer to make their homes in moist, soft wood. That said, this is by no means a rule. We see them make nests in dry, sound wood on a regular basis. One sign to look for in searching for a carpenter ant nest is the coarse sawdust that they eject from the nest during its construction. This sawdust can often be dumped inside a wall cavity where it will not be visible, so a lack of this sawdust by no means rules out the possibility of colony being present. Most of a carpenter ant colony’s activity takes place outdoors or hidden within a wall which can make them very difficult to detect unless you know what you are looking for. People often times have carpenter ants in their home for many years without realizing it. Reproduction: Winged reproductive carpenter ants emerge from mature colonies beginning in the late spring. After mating the males die. The fertilized females break off their wings and seek a suitable site to begin a new colony. The new queens lay their first batch of 9 to 16 eggs which hatch in 2 to 5 weeks. The newly hatched carpenter ants start life in a grub-like larval form. These larvae are cared for by the queen until they become full grown adults. The period of time from egg to adult takes 6 to 12 weeks depending upon environmental conditions and the species of carpenter ant. After the first batch of young carpenter ants mature, they take over the duties of caring for the queen, rearing the young, and building the nest. The queen is now able to focus her attention on her primary purpose of reproduction. The newly formed colony will mature in 3 to 4 years at which time they will send out winged reproductive members that will begin new colonies of their own.